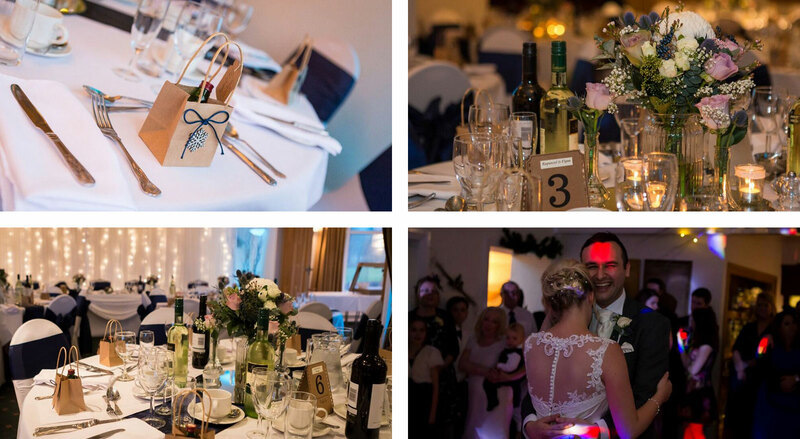 With stunning views accross the golf course and easy access to the local area, our charming Clubhouse is the perfect venue for any occasion. We have a number of function rooms of varying capacity which are available for hire by members and non members for weddings, birthday parties, christenings, anniversaries, funerals, private dining, training seminars and meetings. Bar and catering facilities are open for refreshments, snacks or lunch every day of the week with extended hours during the summer months. The club also has audio visual equipment for hire. Our in-house bar and catering team aim to provide members and visitors with the highest standard of food and service. The Club's main function room is suitable for parties of up to 100 making it ideal for corporate golf events, societies, dinner parties and funerals. The room can be divided to allow even the smallest party of guests to enjoy a convivial atmosphere whilst dining. A lift allows access to the upstairs function rooms and disabled toilet facilities are available for any wheelchair bound guests. The Club offers set menus and buffet menus for all functions. However, individually tailored packages can be designed to suit your requirements and these should be discussed with our catering team on 01204 843067 ext 4 or 5. Our Bar and Catering team ensure that all members and guests receive a warm welcome and friendly service and that each event runs smoothly. "I would like to say a massive thank you to everyone who worked on the England Athletics North West Regional Awards evening, and it couldn’t have gone any better. As the lead for the awards, from the first day I contacted the club about booking the venue, every single member of staff I spoke to has been beyond helpful. There was always someone there to talk to and go over final details whether that be over the phone or face to face. If it wasn’t for such fantastic staff the planning process wouldn’t have gone as smoothly as it did. On the evening itself the staff were again exceptional. Helping with set up, checking if we were ok, the food, the service – I just cannot thank everyone enough. It was a particularly important evening for me as it was the first awards evening I had organised myself and the CEO of England Athletics was also there so I was a little on edge! He was full of praise for the venue, the staff, the food - just like me he had a great evening. Thank you very much to everyone involved and I hope to deal with you again in the future".